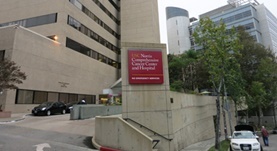 Dr. Leah Lin graduated from the Jefferson Medical College and completed her residency program at the Kaiser Permanente Southern California. She is specialized in Radiology and board certified in Diagnostic Radiology. 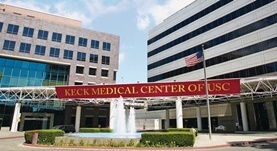 Dr. Lin has been in practice for more than 6 years and is affiliated with the Keck Hospital of USC. During her career, she has also contributed to three publications of clinical interest. Dr. Leah Lin has contributed to 3 publications. Computed Tomographic Diagnosis of Myocardial Fat Deposits in Sarcoidosis. Saremi, F.,Saremi, A.,Hassani, C.,Cen, S.,Lin, L.,Ng, B.,Shahriarian, S.; J Comput Assist Tomogr. 2015 Mar 19. Imaging Appearance in Acute Liver Failure: Correlation with Clinical and Pathology Findings. Romero, M.,Palmer, S. L.,Kahn, J. A.,Ihde, L.,Lin, L. M.,Kosco, A.,Shinar, R.,Ghandforoush, A.,Chan, L. S.,Petrovic, L. M.,Sher, L. S.,Fong, T. L.; Dig. Dis. Sci.. 2014 Apr 03. Anaesthetic technique may affect prognosis for ovarian serous adenocarcinoma: a retrospective analysis. Lin, L.,Liu, C.,Tan, H.,Ouyang, H.,Zhang, Y.,Zeng, W.; Br J Anaesth. 2011 Mar 26.